Guys, I am very aware how backed up I am on posts. 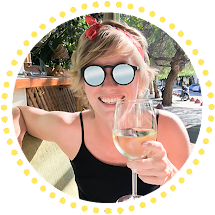 I’ve just wrapped up my fourth WWOOF host and I’ve only introduced you to my first host so far… I know, I know. I swear at some point I’ll start getting a schedule down for more consistent posts. But if I’m totally honest, my daily siesta is getting in the way of my productivity. To get started on catching you up, let’s backtrack to the end of August when I was staying with Phil and Tessa Condon in Ravenshoe, a town in the Tablelands region. Again, it’s pronounced ravens-hoe, not raven-shoe. I spent two and half weeks with the Condon’s learning the ins and outs of daily cattle management. This is the Thanks I get! I feed them daily and they still shun me. Phil and Tessa are the type of parents/couple a prime-time sitcom is written around. They’ve been married for nearly forty years and it’s easy to see why after just one day with them. With three grown children and six grandchildren, they have lots of family stories to share over Tessa’s delicious home cooked meals. I personally need her recipe of rissoles and stir-fry. Tessa works at the primary school down the street, so Phil heads out every morning to look after the cows on their three properties. 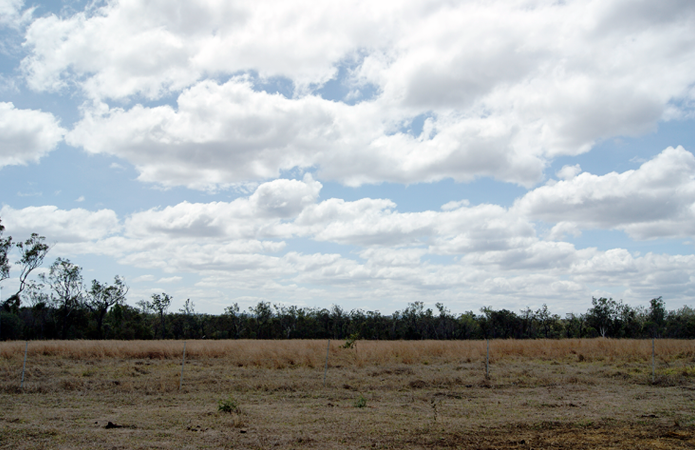 From their house in Ravenshoe, the main range is located in Mount Garnet about 35 minutes west. 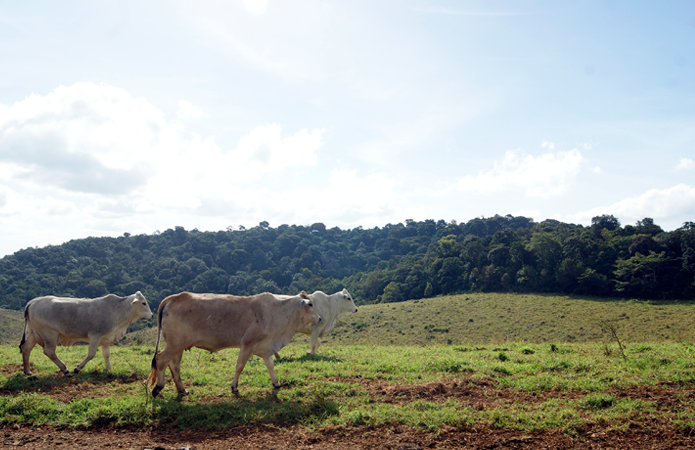 They have roughly 7,000 acres with upwards of 400 cows roaming around. The climate out by Mount Garnet is dry and relatively flat. When I was there the area was begging for rain. The winter and early spring were much drier than usual, so most days I came home with red clay dust up my nose. 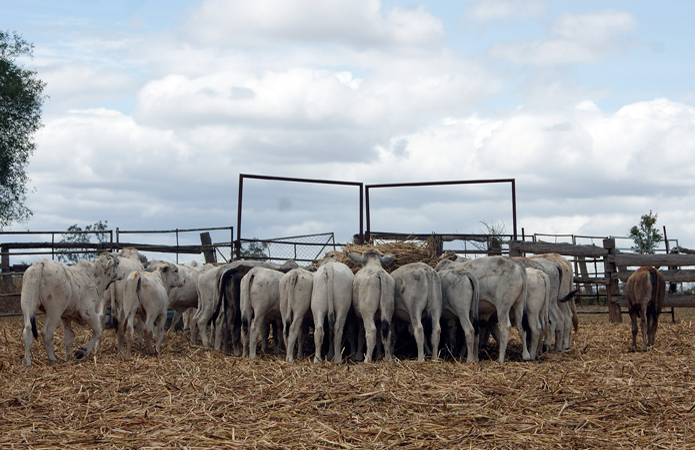 When I wrote about my mustering skills, we weaned the cows on this property and moved the babes to a separate paddock, to two sections being separated by the highway. 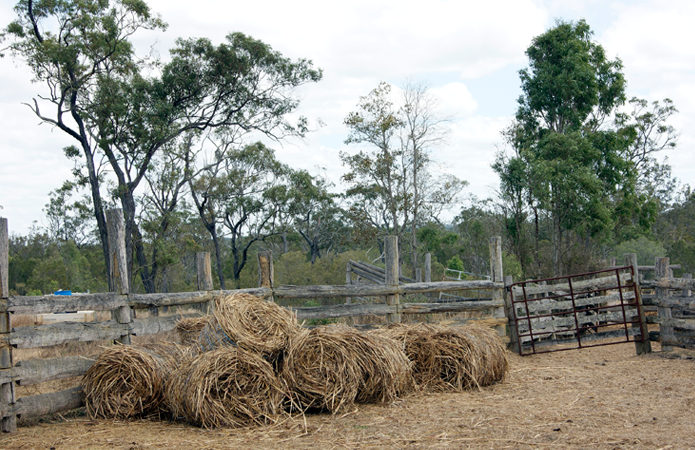 The weans were kept in a smaller paddock until they settled down, so most days we drove out to Mount Garnet to make sure they had hay, molasses and water in the pen. My workout while with the Condon's was rolling those bales around. The second property is the complete opposite of the land in Mount Garnet. 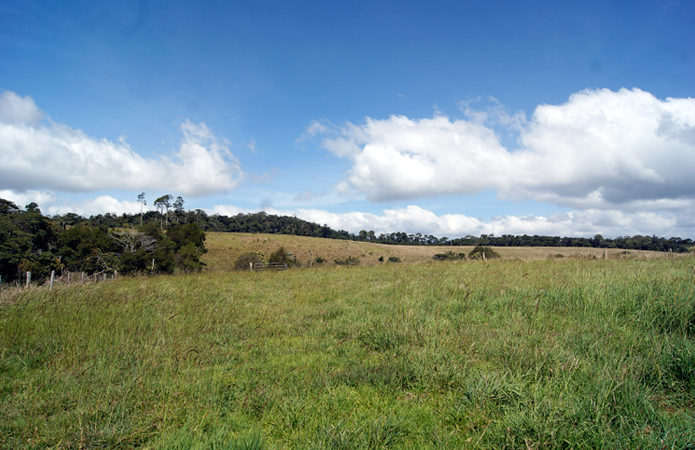 Situated right in the Tablelands, the 300-acre property, full of hills, sits right between forest and rain forest. 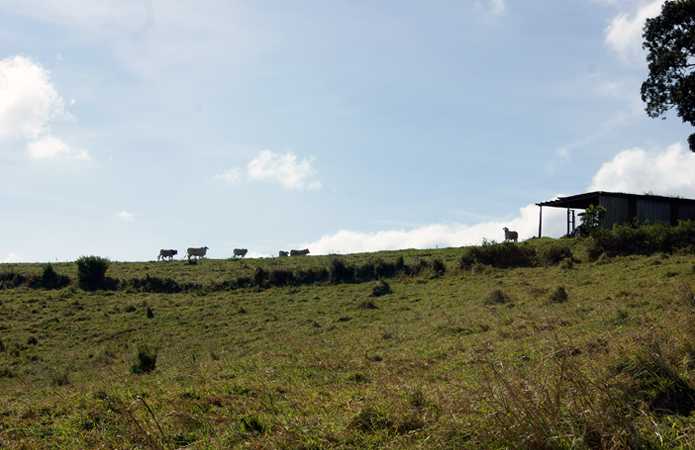 The 100 cows that call this home are spoiled with never-ending tall green grass. After the weans in Mount Garnet have settled down they’ll be shifted to this property to get fattened up. This property also helps segregate cows for mating to make sure the bulls aren’t mating with their offspring (because no one wants that). We spent a little bit of time on this property fixing up a cow grid, but mostly this is a laid-back range and the cows don’t need constant monitoring. The cows here have already been tagged and sprayed for ticks, so they roam free. For those who saw my meeting with a newborn calf, he was hiding out in the hills of this property! And lastly, their third property referred to as the “Old Property” was the first one they purchased. The 150-acre plot currently has 20 cows roaming around, and they needed no attention when I was there. Each of the three properties have a homestead on them, used when Phil needs to stay late, or rented out to trust-worthy tenants who can look after the land and raise the alarms if something seems amiss. 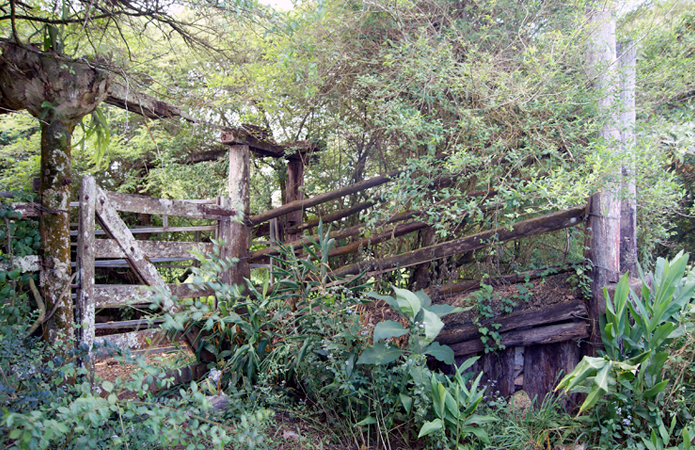 Unfortunately, the latest tenants on the Old Property left the house and yard in shambles. So we spent a day cleaning up the yard while the cows roamed unseen. It was across the street from the house where I spotted my first poisonous snake! A black snake slithered right past where I had been sitting just minutes before, watching platypuses in the creek below. But have no fear – Phil carries an ace bandage in his truck in the event a snake bites... comforting. There's cows in there somewhere. Relic from a previous era. Overall I had a fabulous time with Phil and Tessa. Their longstanding involvement in the town gave me so much exposure to history and its current residents - I can't lie that I heard all the local gossip over the dinner table. I met several teachers and cowboys, all who were willing to share their slice of Australia with me. Many even offered up contacts in other parts of the country who would lend a hand no questions asked. It was in the Tablelands I realized Australians give with both hands.